This was my second BMW and I bought it to be part of a taxi on my taxi fleet. 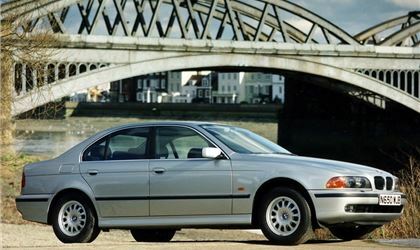 Having also had an e46 320d M Sport (my first BMW), which I took from 35000 to 237.000 miles with ease. As with my old e46, I only have positive to say about the e39. It was excellent to drive, comfy, powerful and felt solid, always getting above 38mpg. I took the car from 35.000 miles to 185.000 within the years of ownership. In which time only the shocks and alternator were replaced along with regular servicing at my local BMW Specialist. This car was brilliant and i would 110% buy another - much better than some modern stuff. BMW have an excellent following and reputation for a reason - they make good cars. Before buying a BMW I didnt really like them or understand the follwing, but buying and experiencing several has changed my opinion entirely.